A “coaching tree” historically refers to a head coach whose career has produced head coaching jobs for others. Sadly, this reference seems only to apply to White coaches. You often hear about the late Pat Summitt’s “tree,” but we hear nothing about Rutgers’ C. Vivian Stringer’s, the only Black coach to amass 1,000 career victories. That career began at Cheyney State University, an HBCU, in 1971, the same year Title IX was passed. She’s now at 1,014 wins and counting, and earlier this season she became Rutgers’ all-time basketball victories leader — men’s or women’s — and has the most Big Ten victories in conference history. She also coached at Iowa. “You think of someone who has been coaching at the collegiate level for some 40-plus years, her reach is so long and so strong,” University of Illinois-Chicago Head Coach Tasha Pointer said of Stringer in an MSR phone interview. Pointer played for Stringer at Rutgers (1997-2001), and then later returned and worked as an assistant coach for eight seasons. Pointer also had similar assistant stints at Northwestern, Columbia, Xavier and St. John’s. This is the Chicago native’s first season at UIC after being hired last April. “She’s been ready to become a head coach for quite some time,” Stringer said of Pointer’s hiring in a UIC press release. Pointer was hard pressed to estimate the number of females like herself who Stringer in some way or another influenced to become coaches. “There are so many young ladies that she coached who are [now] coaches,” she said. 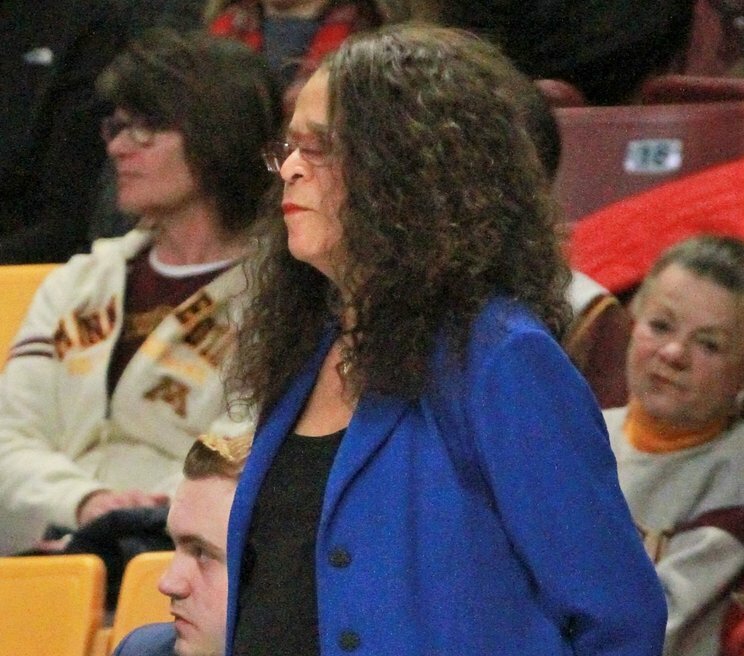 Even Stringer couldn’t offer an estimate of her “tree” when the MSR talked to her after Sunday’s Rutgers-Minnesota game at Williams Arena. Before the contest, Minnesota honored Stringer on her milestone accomplishment. Stringer responded humbly to our “tree” question: “Honestly, I don’t know how many. I just know I love what I do, and I think that anybody who loves the game and wants to somehow impact it in some way will do it the same way. We might not know from the coaching tree Stringer has grown over the years exactly how far and wide its branches extend, but we do know it is alive and strong and should be more widely recognized as such.